Botshabelo is a small orphanage in Beaulieu, Midrand. The children are very young in this children's home, so we went with classic Disney characters to brighten the children's play area. 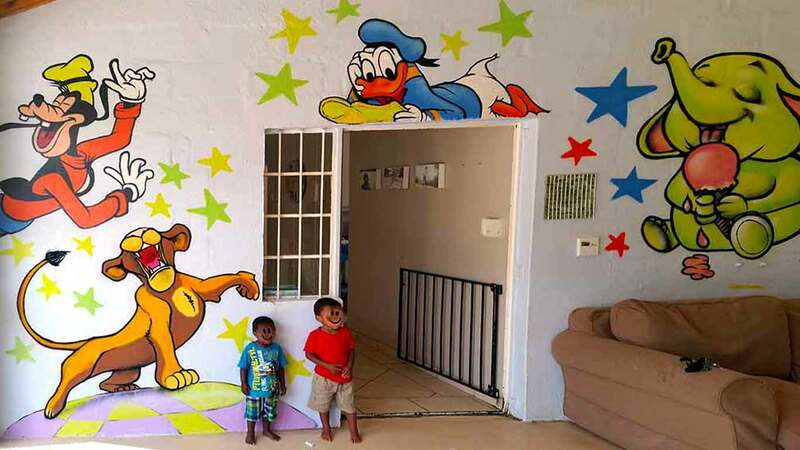 In many instance's, this sort of artwork is simply not available to these kids and by exposing them to our process and leaving the a mural for the them to live with, we hope that it will inspire creativity and imagination for the youngsters living at Botshabelo.